We strongly advise you read these terms and conditions prior to placing an order. Celticdesirejewellery is a Northern Ireland based Online Business and complies with UK consumer law including the Distance Selling Regulations. Our Terms and Conditions do not affect your statutory rights. All items will be supplied in our own ‘Celticdesirejewellery’ or ‘SilverSpiritJewellery’ packaging or branded packaging. If, for any reason, you are unhappy with your purchase, or it does not meet your requirements, you can return it to us, in its original condition and packaging, within 7 days of the date you received it and we will issue an exchange or a refund for the price you paid for the item only (see our refunds and exchanges policies).The price of Postage will not be refunded. Unless faulty, we can not accept the return of jewellery that has been worn, personalised or adjusted. Please note: we cannot accept the return of earrings for pierced ears under any circumstances unless faulty. Items must be returned within 7 days of receipt. If items are returned after this time we are within our rights to refuse a refund but may be willing to offer an exchange, subject to it being in pristine condition. In the unlikely event that you receive a product that is defective, has been damaged in transit, or is not the one you ordered then you can return it to us for exchange or a full refund within 7 days of receiving it. Under these circumstances we will also refund you the cost incurred returning the item to us. If you are returning a product to us because it is incorrect, we will only refund your postage costs if the item is wrong through an error on our part and not if the product was wrongly ordered by yourself. Items must be returned in their original packaging and with all booklets, guarantees and product tags if they are attached. To enable us to process your return more efficiently, we ask you to include a covering note with your item stating why it is being returned and whether you want an exchange or a refund. In this note you should also include your order or invoice number, or a copy of the original invoice, so that we can track your order on the system. If an item is returned without a covering note then, if we are able to trace your order on the system, we shall contact you by phone or email to ascertain the reason for return. If we do not hear back from you within 7 days we reserve the right to either return the item to you or, if the item qualifies, process a refund minus a £10.00 administration fee. Returns should be sent via an insured and traceable method, such as Royal Mail Recorded or Special Delivery, as we cannot be held liable for any items which go missing in the post and do not reach us. If you use Royal Mail Recorded or Special Delivery then you can check to see if we have received your parcel on the Royal Mail website’s ‘track and trace’ facility. If a parcel does go missing and never reaches us, it is your responsibility to claim for the item from Royal Mail or the courier used. Please note that if you do not pay enough postage for the parcel and we have to pay a fee to take receipt of it, then we shall deduct that amount plus a £10.00 administration fee from any refund. Please allow up to 5 working days after receipt for all refunds and exchanges to be processed. We will happily exchange your item as long as it is returned in pristine condition and satisfies the criteria for returning an item as outlined above. In the covering note accompanying your return, we would ask you to include details of which item you would like to exchange it for and also your contact details so we can contact you if necessary. If there is any extra charge to pay, we will contact you so that payment can be made over the phone. If there is a partial refund due then this will be credited back to your paypal account. If you are exchanging for an item of lower value then we reserve the right to add an administration and postal fee to the price of the replacement item. If this is the case, we shall contact you to inform you of this. If you return an exchanged item for a further exchange, or refund, then we reserve the right to charge an administration fee of £10.00 as well as an additional postage fee. 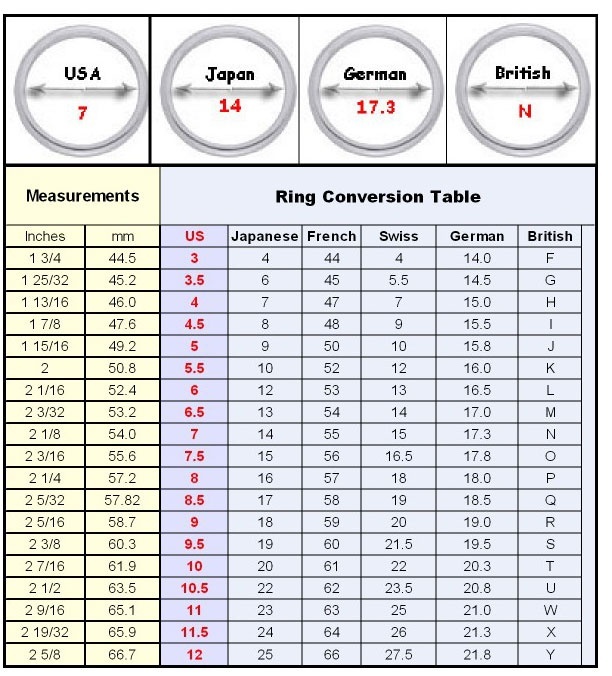 In the case of rings needing sizes changed, the customer will have to incur the cost of posting the item to us and also the cost of the item being posted back to them. This exchange policy does not affect your statutory rights. When we receive a product returned to us for refund and are satisfied with its condition and the reason for return, we will process a refund for the amount that was paid for the item only less the postage in the same form of payment, and account, originally used for the purchase. If you have not received your refund within 7 working days of us receiving your product, then please email us. If we have agreed to refund the postal cost incurred returning a product to us, this will be done in the form of a refund to your account. In the unlikely event that your product develops a fault within a short and reasonable period from receipt then you can return it to us and, if we find it to be faulty, we shall exchange it for you. If, however, the fault is due to excessive wear or accidental damage you will not be eligible for an exchange. Please note we cannot make any concrete promises to exchange an item, or issue a postal refund, until we have seen and assessed the item. If, after placing an order, you wish to cancel your order you can do so at any time prior to it being dispatched. If you do wish to cancel your order you will need to contact us as soon as possible via phone on 02870327880. You will need to quote your order number and confirm your name and address details. Unfortunately if your order has already been dispatched before you contact us then you will be unable to cancel it and will have to return it for a refund (see our returns policy for details). Celticdesirejewellery accept major credit cards through Paypal. 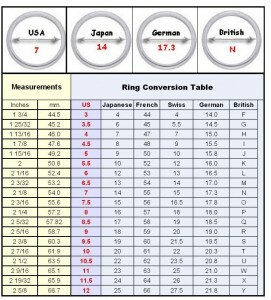 At Celticdesirejewellery we endeavour to keep stock levels as accurate as possible. Unfortunately, due to the large volume of orders being processed daily there can be very rare occasions where our stock levels do not immediately reflect on the website. In the event of an order being placed for an item of which we no longer have stock we will attempt to locate the item in one of our stores and have it dispatched directly from them. We will contact you by email as soon as possible to advise you of this. If you are ordering multiple items at once we will have stocked items dispatched separately and then dispatch any missing items as soon as we receive more stock. Celticdesirejewellery disclaims damages of any kind, compensatory, direct, indirect or consequential damages, loss of data, income or profit, loss of or damage to property and claims of third parties implied or otherwise relating to use of this site. All pictures, material, code, intellectual property and descriptions are the property of Celticdesirejewellery. It may not be copied or used without the express permission of Celticdesirejewellery.